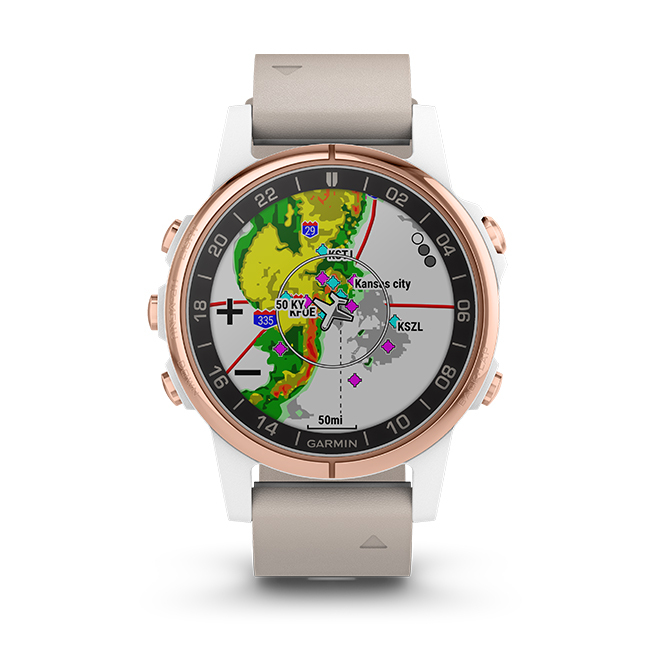 For even more work-saving convenience, you can our Flight Stream 510 wireless gateway (sold separately) to your cockpit avionics system, allowing you to use our Connext technology to stream information between your compatible Garmin GPS navigator and your D2 Delta S watch. 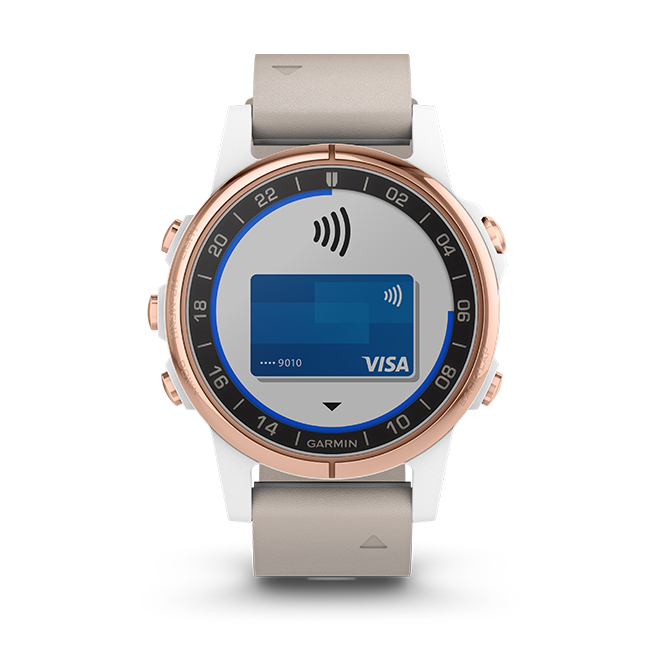 The synced GPS position data enables even more precise mapping detail on your watch. Plus, using a data field display, you can stream other information — such as altitude, airspeed, outside air temperature and more — onto your D2 Delta S in real time. With wireless connectivity to your smartphone, the D2 Delta series can make quick work of flight logging and other record keeping tasks. 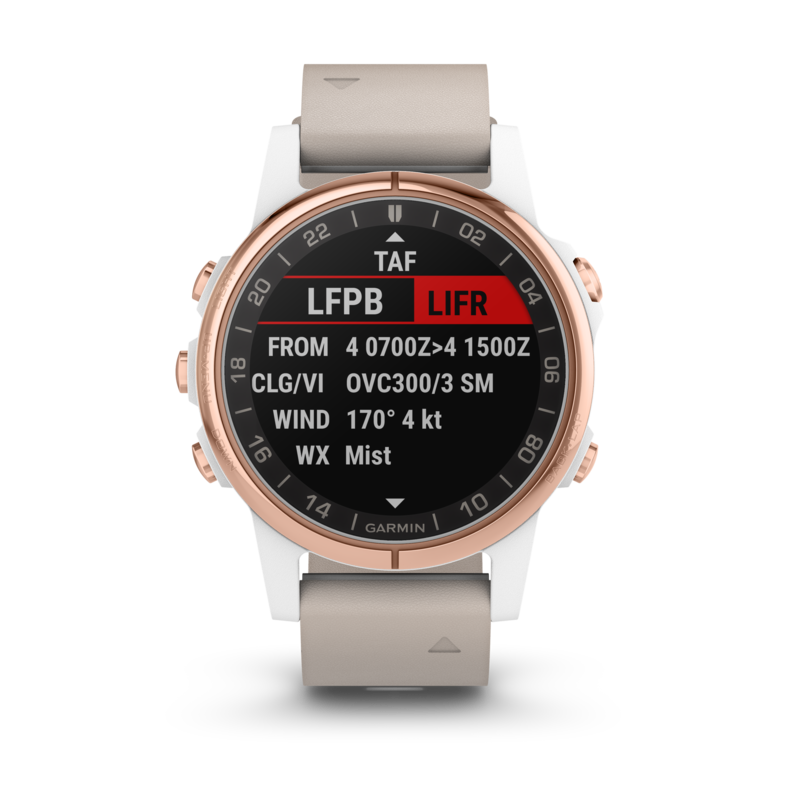 During takeoff, the watch will detect your aircraft’s change in altitude and automatically initiate the logbook function — recording date, duration, total flight time and route. Then after your flight is complete, it will sync this logbook data via your smartphone to flyGarmin.com and the Garmin Pilot app for safekeeping. 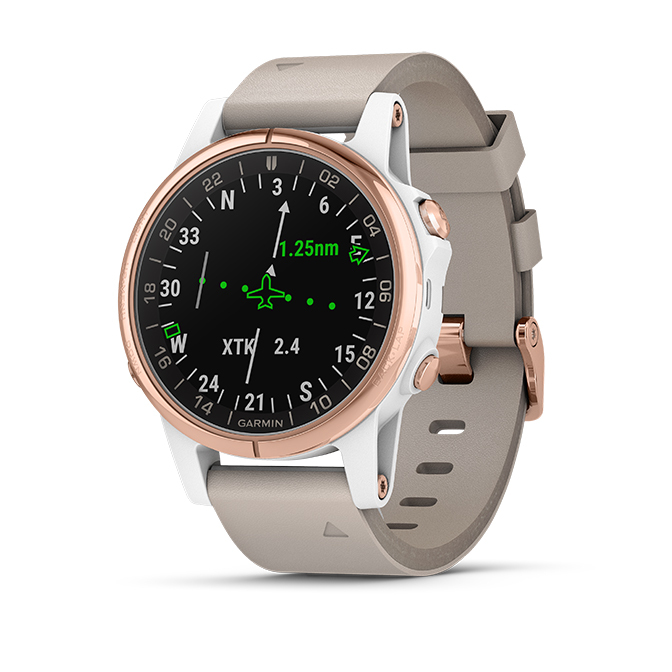 Beyond its full range of flight-related functions, D2 Delta S also offers a complete feature set of sports/training, fitness and outdoor navigation tools. 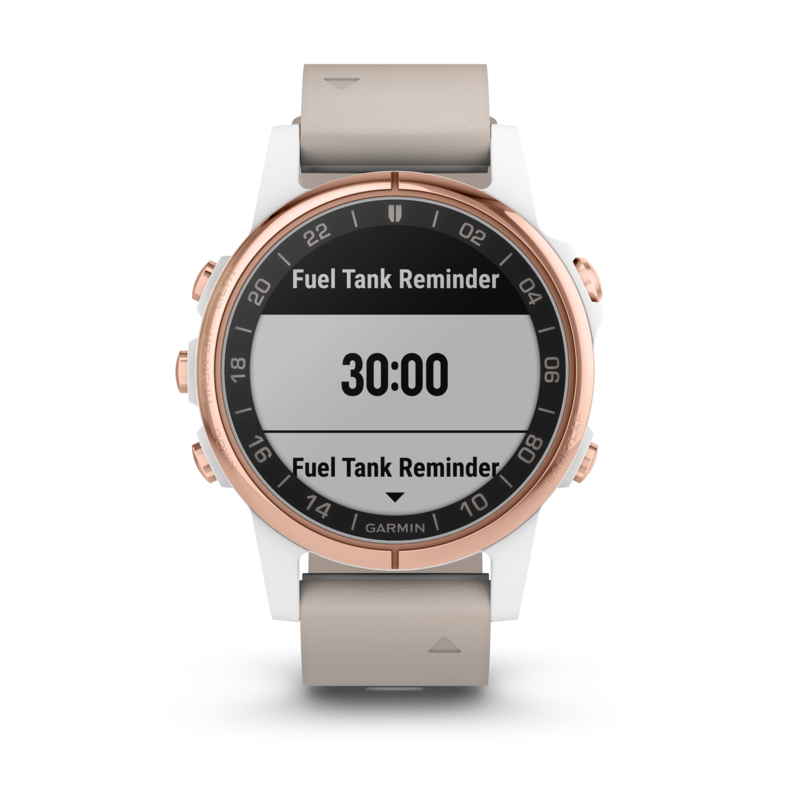 You can tap into an array of physiological metrics, running dynamics, fitness tracking features and more — so you can monitor your workout stats, measure your progress and help avoid injury. 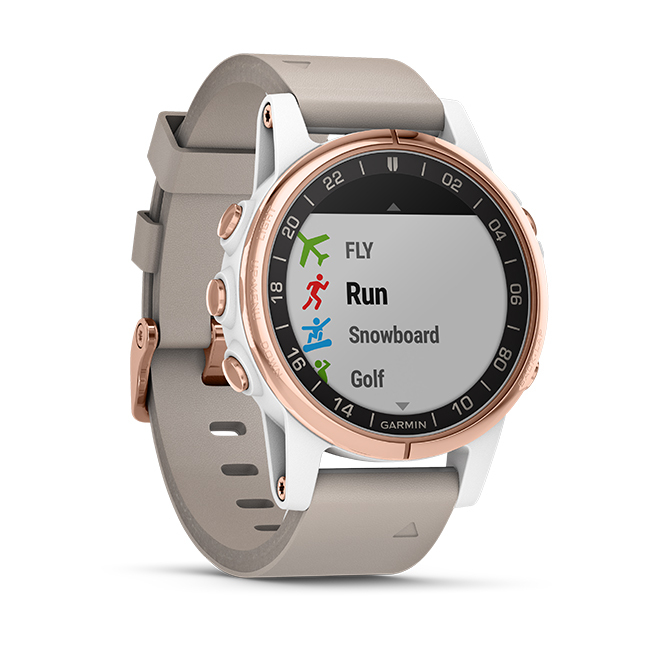 Special preloaded activity profiles are provided for golfing, swimming, running, biking, hiking, rowing, skiing and more. In addition to counting steps and monitoring sleep, your D2 Delta S uses Elevate wrist heart rate technology1 to provide calories burned information and quantify the intensity of your fitness activities. 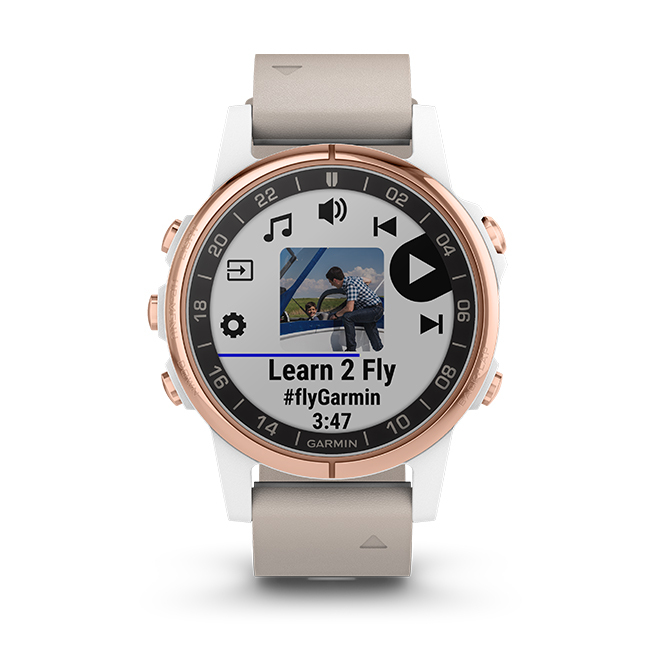 For added motivation, you can download advanced workouts and training plans from our Garmin Connect online community.